OTTAWA - The Harper government has signed a contract to build its long-promised Arctic patrol ships, but it had to increase the overall project budget by $400 million in order to do so. Officials from Public Works and National Defence, along with Irving Shipbuilding President Kevin McCoy, made the announcement Friday in Ottawa ahead of a planned event next week in Halifax. 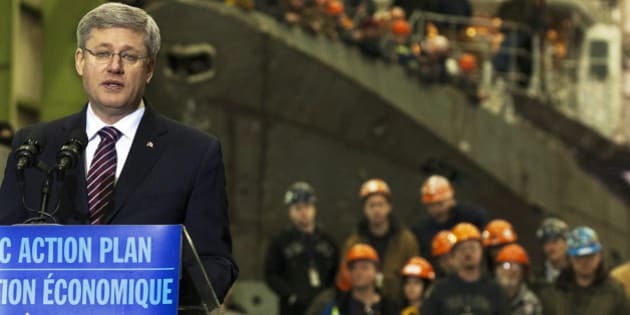 The entire program is now expected to cost $3.5 billion, up from the $3.1 billion initially proposed when the ships were first announced in 2007 as part of the Conservative government's ambitious plan to rebuild the military. The ships themselves will cost up to $2.3 billion to construct and the rest of the allocation is made up of other costs, including jetty improvements, initial equipment and ammunition. The agreement is to build six light icebreakers for the navy's use in the North and off both coasts, but there will be a ceiling to the budget and officials acknowledge the number of ships could slip to five if the program runs into trouble. "Should costs increase due to unforeseen factors, the contract will guarantee the delivery of five ships within the same ceiling price," said a government official who spoke Friday at a technical background briefing. Essentially, officials have agreed to a benchmark cost and if it isn't met, Irving's fee goes down. If the company manages to beat the benchmark, then its fee goes up. "It's a fairly simple formula," McCoy said. "As we drive our costs down, both Canada and Irving share in some of the benefit of the reduced cost." Last fall, a series of defence and government sources told The Canadian Press that with existing funding, the program was on track to deliver five ships, not six — a report McCoy denied at the time. A few days later, the parliamentary budget office warned that delays and inflation would force the Conservative government to buy fewer ships if it stuck with the original budget. 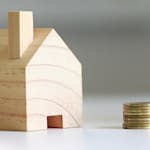 An official, not authorized to speak publicly, said the increase in the budget will mostly go to the project's contingency fund, which is built into every program as a cushion against inflation and unforeseen circumstances. McCoy didn't want to criticize the PBO report directly, but said the company's exhaustive planning, use of computer modeling and three-dimensional imaging allowed it to more accurately predict the costs and what it could do. He was adamant Irving will deliver six ships by the end of the program in 2022. When the program was originally conceived, the Conservatives promised to build up to eight patrol ships, prompting Liberal defence critic Joyce Murray to wonder what exactly has changed. "What was the requirement?" she asked in an interview Friday. "It must have been based on something. Now we're getting five or six. The lack of transparency — that is what is troubling." It's not clear whether the government is making the requirement fit the budget, or the other way around, she added. In order to stay within budget, Irving will have to keep a tight rein not only on its costs, but on those of its suppliers as well, who are already feeling the pinch and have complained to Nova Scotia Economic Development Minister Michel Samson. The Aerospace and Defence Industries Association wrote Samson last summer with concerns about "onerous conditions," particularly when it comes to matters of intellectual property. McCoy was making no apologies Friday for driving a hard bargain with suppliers. "As the prime contractor, it is our job to deliver the ships that Royal Canadian Navy needs for a fair budget," said McCoy, who noted that Irving hired outside experts to challenge costing formulas. "We've taken on a considerable amount of risk as a company and we expect our suppliers to give us the best possible price." Modules, which test the ship's design, will be built this summer and Irving expects to begin building the first ship in September.